Boston is small for a “big city.” This was certainly true for the Gibson family’s upper- class social circles in the nineteenth century. They married into their friends’ families and were business partners with their neighbors. It’s true for me, too, when I discover that a new friend went to my university, or I unexpectedly attend the same event as a colleague. The more time one spends here, the easier it becomes to recognize the interconnectedness of people and places. It’s also true for the Gibson House Museum in its many connections to other historic organizations throughout the greater-Boston area. 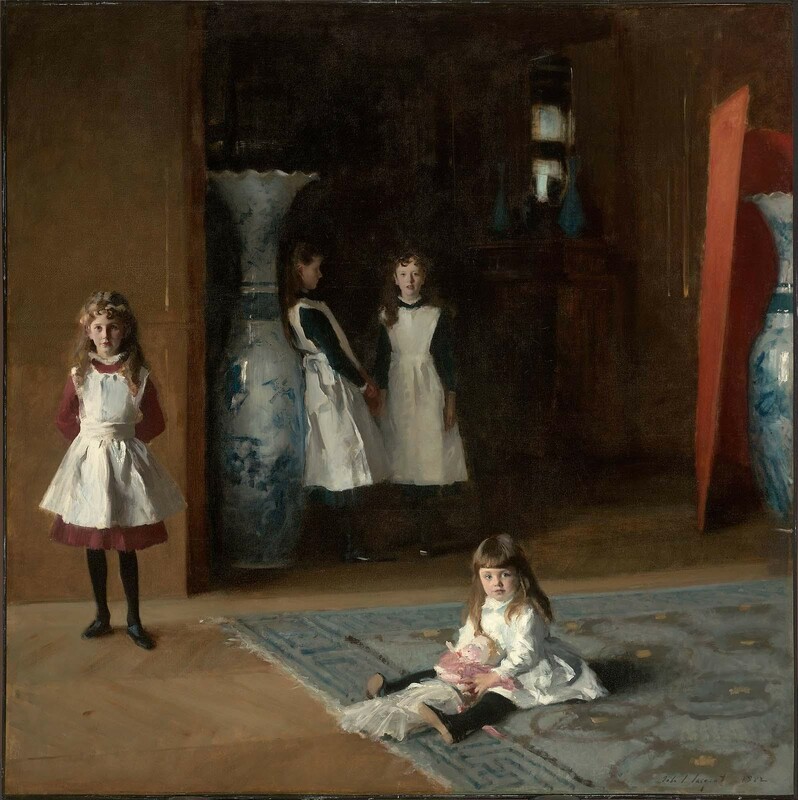 This well-known Sargent painting hangs in the new American Wing at the Museum of Fine Arts, Boston (MFA). The four girls pictured are the daughters of Edward and Isa Boit, as the title informs. The room is in their Paris apartment, which they moved into after leaving 110 Beacon Street, Boston—just three houses down from the Gibson family. In addition to being neighbors, Charles and Rosamond Gibson were friends of the Boits and both were members of their wedding party. A more tangible connection between the Gibsons and the MFA lies within the MFA’s jewelry collection. 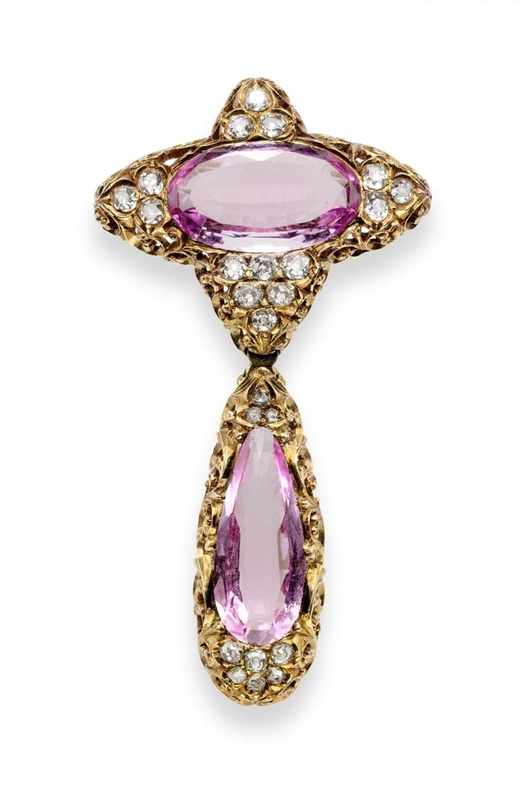 A beautiful pink brooch once belonging to Rosamond Warren Gibson was purchased by the museum in 2010. Although it is not currently on display, it is a fine example of Bostonian material culture. Image courtesy of the Peabody Essex Museum. 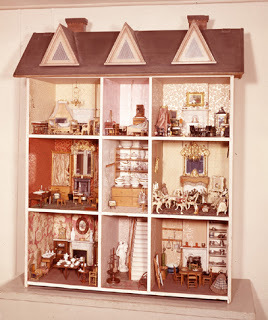 Another Gibson family object that has made its way into the collection of a large museum is the Warren family dollhouse. 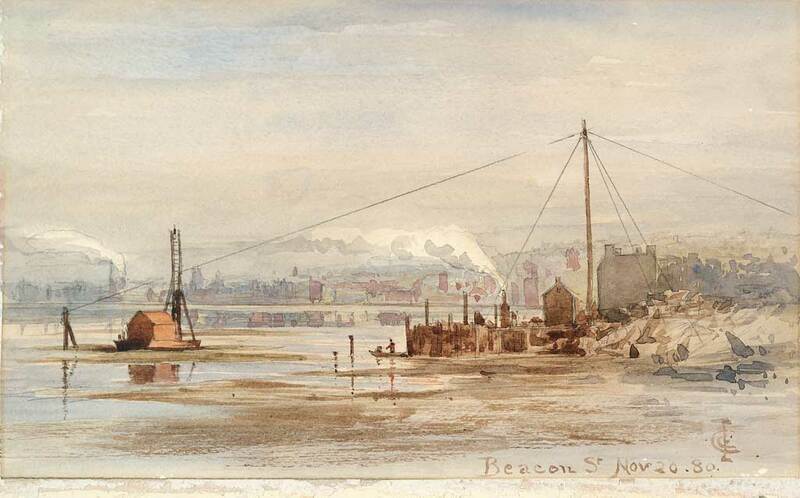 As a young girl, Rosamond played with it at her parents’ home on Beacon Hill. The extravagant, five-foot tall dollhouse was also a childhood favorite of her daughters, who played with it on the fifth floor of the Gibson House. After they had grown, Rosamond donated it to what is now the Peabody Essex Museum in 1926. 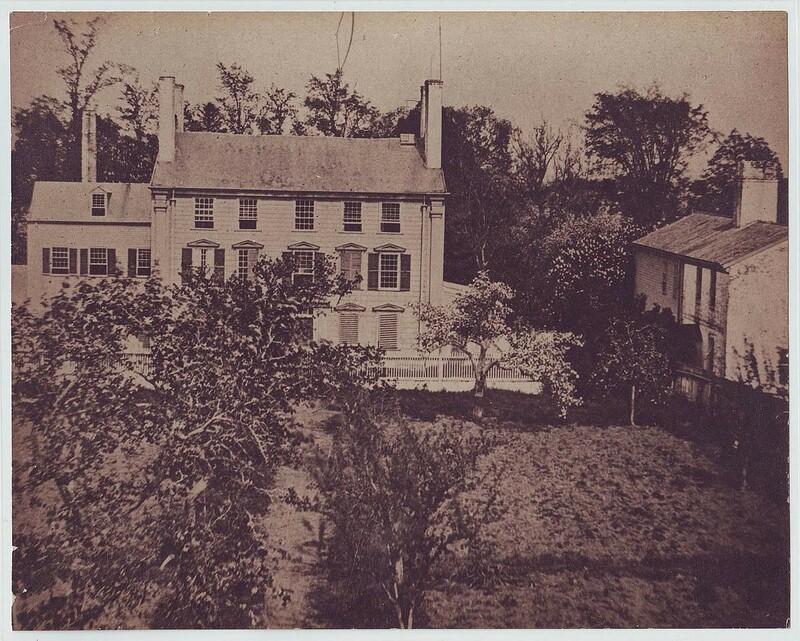 “Historic exterior with orchard.” Image courtesy of the Royall House & Slave Quarters. Just a fifteen-minute drive away (by contemporary vehicle) in Medford lies the Royall House & Slave Quarters. Starting in 1810, the house was occupied as a summer home by local rum distiller Jacob Tidd and his wife Ruth Dawes Tidd. Ruth was the sister of Sara Dawes Hammond, Catherine Hammond Gibson’s mother. As a child, Catherine played in her aunt’s courtyard and gardens. Ruth lived in that house until she died in 1861, just two years after Catherine moved into her new home at 137 Beacon Street. Today, the museum is interpreted for the previous century, when the Royall family, as well as enslaved men, women, and children, lived on the estate. Image courtesy of the Isabella Stewart Gardner Museum. 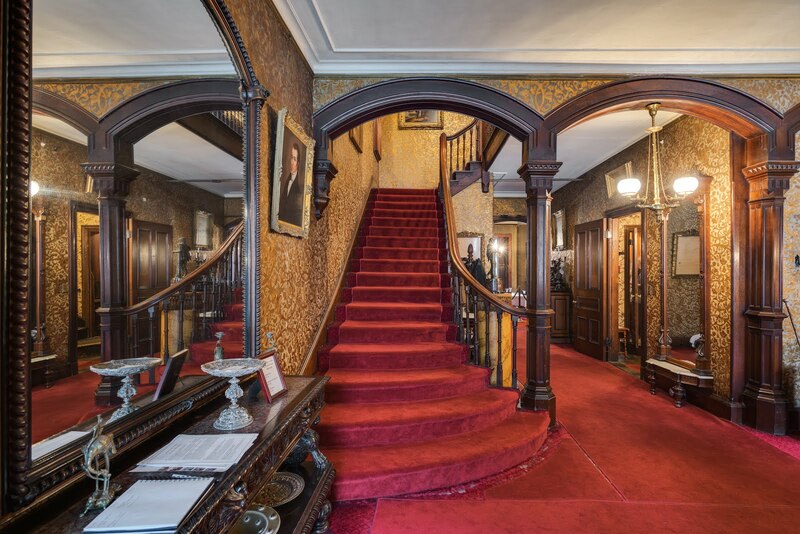 After Isabella Stewart married Jack Gardner in 1860, they moved into 152 Beacon Street. Although we cannot say for sure, it is very likely that Isabella attended dinner parties just down the street at the Gibson House. Her museum in the Fenway was opened to the public a little more than forty years later. Image courtesy of the Boston Athenaeum. Edward Clarke Cabot is the architect of both 137 Beacon Street and the Boston Athenaeum at 10 ½ Beacon Street. 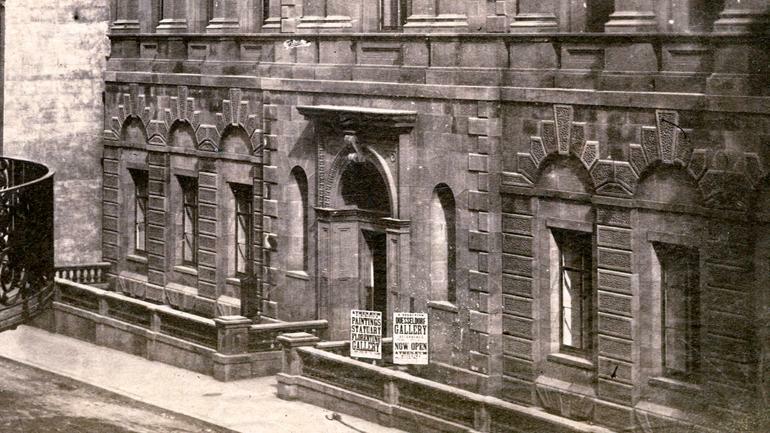 The Athenaeum opened in 1849, ten years before the Gibsons moved into their own Cabot-designed building. 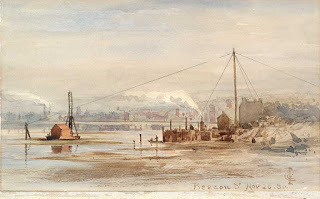 Many of Cabot’s artistic works, including this painting of Beacon Street in 1880, are held within the Athenaeum today. Beacon Street, Edward Clarke Cabot. The more one dives into the personal and material histories at 137 Beacon Street, the more one discovers such connections. The Gibson House Museum is lucky to enjoy all of its fantastic neighboring institutions and a history rich in complexity. Maybe you will run into a neighbor or friend while visiting one of them and be reminded of this city’s deep interconnectivity. If Boston ever feels like a small-big-city to you, imagine all of the connections you are yet still unaware of. “The Pink Brooch.” The Gibson House Museum. Blogspot.com. Accessed September 8, 2017. “The Warren Dollhouse.” The Gibson House Museum. Blogspot.com. Accessed September 8, 2017. 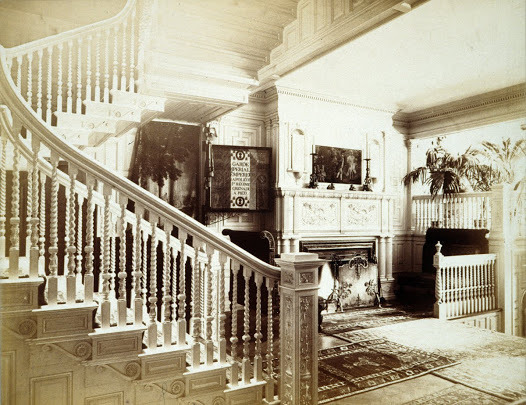 “Entryway in the Gardner Residence at 152 Beacon Street, Boston, About 1882.” Isabella Stewart Gardner Museum. Accessed September 8, 2017.